Are you gonna be a mighty king? Maybe you're even working on your roar? 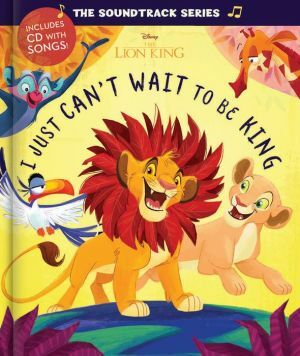 Well, look no further than this deluxe storybook featuring the song lyrics from one of the most memorable songs from Disney's The Lion King, I Just Can't Wait to be King. With gorgeous stylized illustrations and a CD with a karaoke instrumental track and a vocal sing-along track, this picture book captures the magic and adventure from the animated classic!